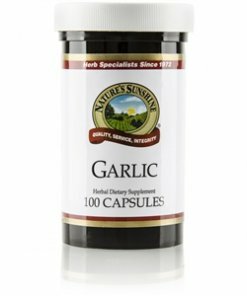 Used in ancient Greek culture to improve athletic stamina, garlic contains antioxidants that benefit both the immune system and the circulatory system. Garlic, with its strong odor from the sulfide allicin, is a member of a nutrient-rich plant family that also includes onions, leeks, and shallots. Old Welsh lore called for consumption of leeks and garlic in the spring to ward off any need for a doctor the rest of the year. 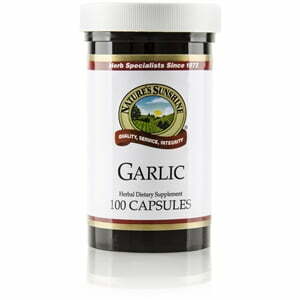 Nature’s Sunshine Garlic comes in 550 mg capsules.